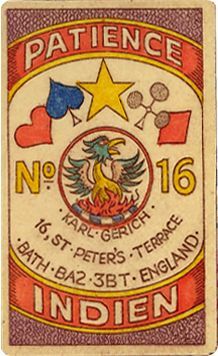 Karl Gerich's Patience Indien No.16, published in 1991, is adapted from Grimaud's Whist Indienne (c.1900). Patience Indien is a small format pack being only 29mm x 62mm. The double-ended courts are dressed in Arab garb. The suit symbols for the four Aces are placed in a white circle within an elaborately patterned border and placed on a floral background. 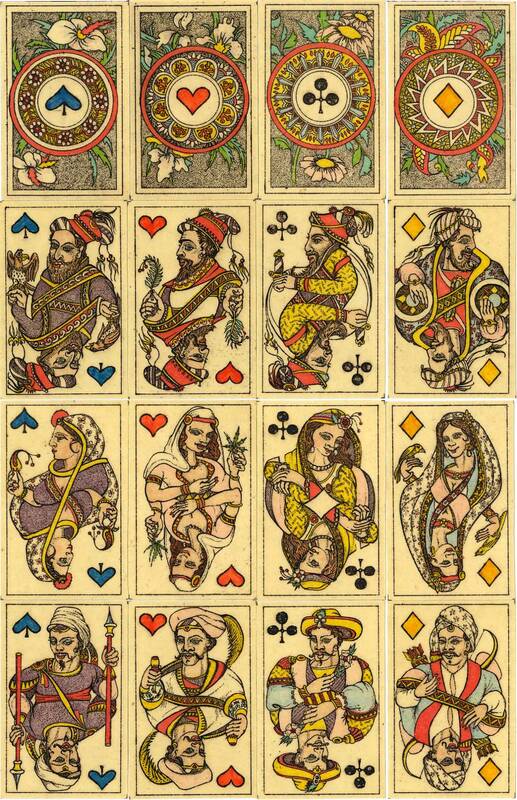 Above: 4 Aces and court cards from Karl Gerich's Patience Indien No.16, published in 1991. Printed from copperplate etching on Conqueror laid Daler Ford paper, pressed, hand-coloured and varnished. 52 cards + 3 Jokers: 29mm x 62mm. 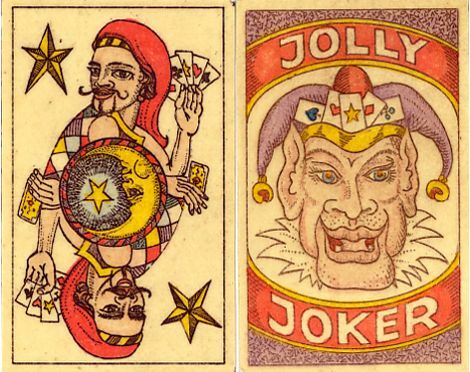 Right: Jokers: double-ended jester with moon/star motif and Jolly Joker. 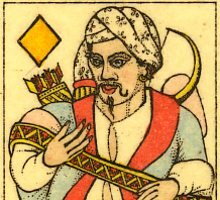 There is also a third 'Great Mogul' Joker (not shown). All images courtesy Barney Townshend.